(L-R): Ben Cullen, Mark Cullen and Terry Caddo. TORONTO, Ont. 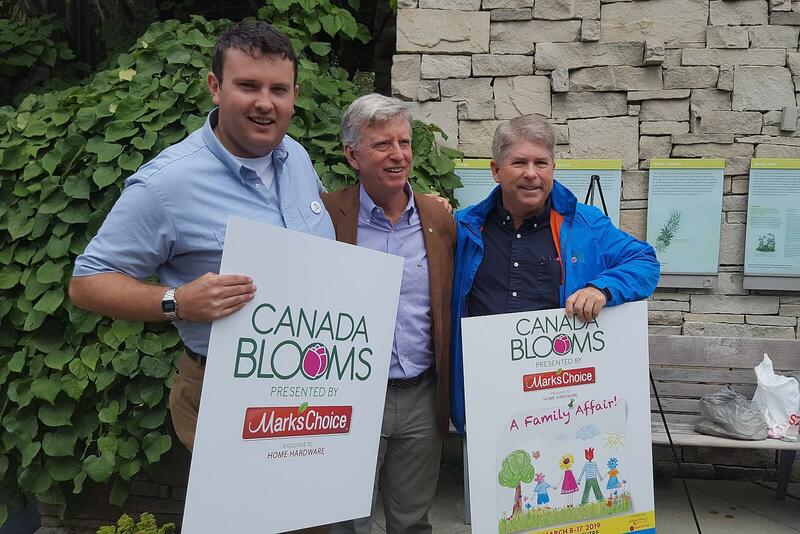 — They have been involved with Canada Blooms since it was started some 23 years ago; now, they are attaching their brand to the marquee. Co-located with the National Home Show, Canada Blooms takes place March 8-19, 2019 at the Enercare Centre at Exhibition Place in Toronto. For more information or for tickets, please visit canadablooms.com. Follow Canada Blooms on Twitter @CanadaBlooms and Like it on Facebook. Now entering its 23rd year, Canada Blooms was founded by Landscape Ontario Horticultural Trades Association and The Garden Club of Toronto. Each year it is supported by a committed group of partners, sponsors and volunteers. Canada Blooms has been named One of Ontario's Top 100 Events by Festivals and Events Ontario and One of North America's Top 100 Events by the American Bus Association.